I have a cute card for you today :) ...it's for this weeks Catered Crop Recipe Swap and the theme is *THE LETTER B*, so get out your buttons, brads, bows, bling, etc out and play along with us! We also have a fabulous sponsor... Purple Onion Designs....and one lucky winner will have the opportunity to win a $25 Gift Certificate! 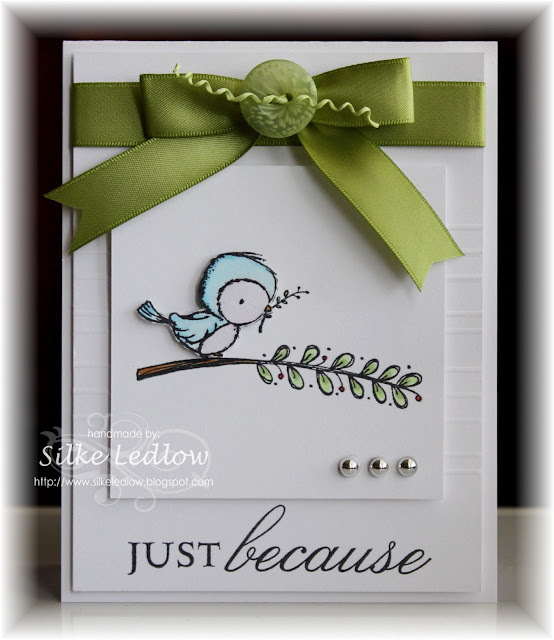 I have the pleasure of showing off one of the new releases called Sweet Offerings.....too cute for words :) !!! 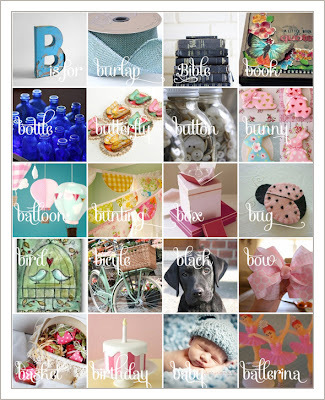 Here are the *B's* I used on my card ~ Bird, Branch, Button, Bow, Bling, Blue, Brown...and the word *because*. Please make sure to swing by the Catered Crop Blog to see all the fabulous entries this week, as well as the entire Design Teams version on the challenge this upcoming Sunday! As always, thank you soooooooooo much for swinging by and I hope you have a fabulous day! So beautiful. so lovely. Really awesome Silke. That bird is just the sweetest thing!! Your card is soooo pretty. Love it. Have to check out Purple Onion. Thanks for sharing!! So pretty Silke. That birdie looks fabulous popped up. Love all the B's! Absolutely adorable card, Silke!! That little bird is too cute and love how you popped him up! Lovely touch with the scoring in the BG. Silke, this is soooo sweet! 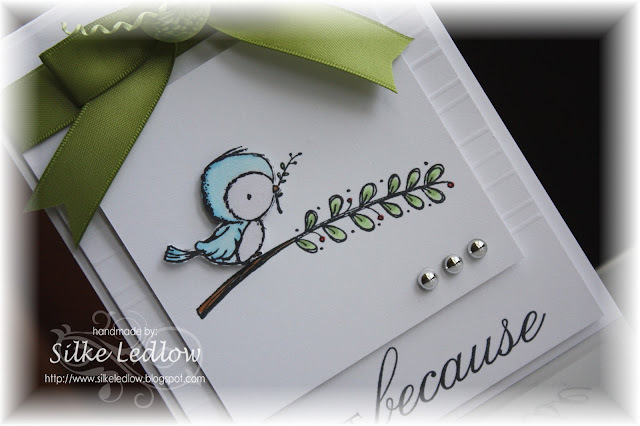 I love that cute little bird image, but the beautiful green bow and button really adds elegance and sophistication to it. Fab!